Quail are fairly small game birds, considerably smaller than chickens. This means that the eggs which they lay are likely to be a lot smaller than what you may be used to cooking with and a little bit more difficult to handle. 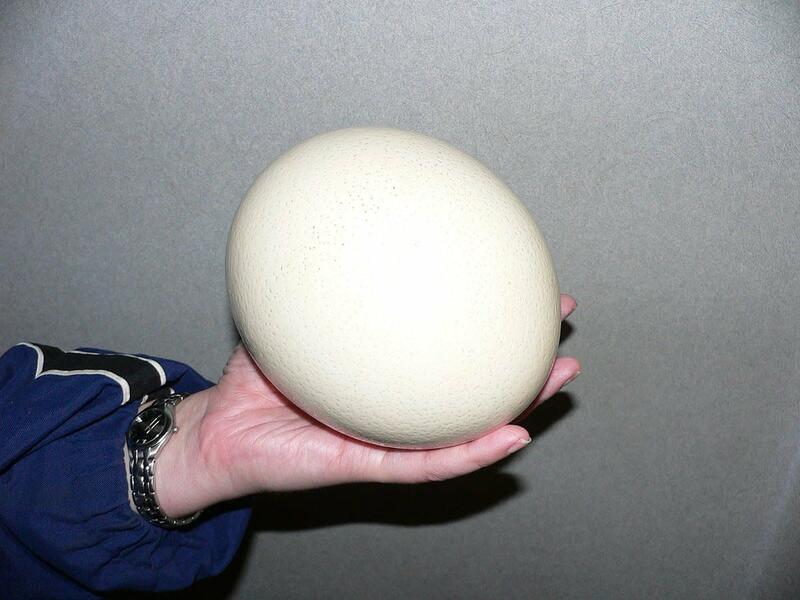 The good news is that quail eggs are super tasty and can be cooked in virtually any way you would cook a chicken egg. It is only the handling techniques and cooking times that are likely to vary. 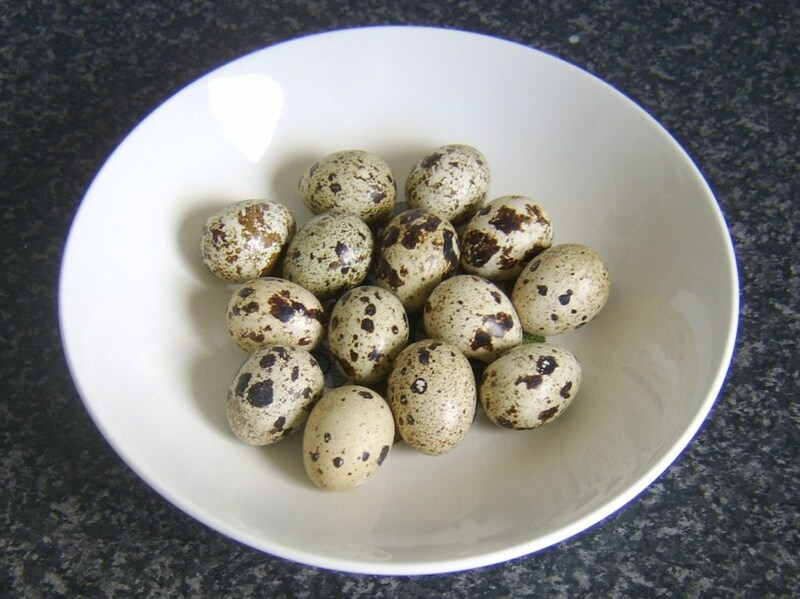 This page gives a few tips for cooking quail eggs as well as ideas for how to serve them as either starters/appetizers or main courses. 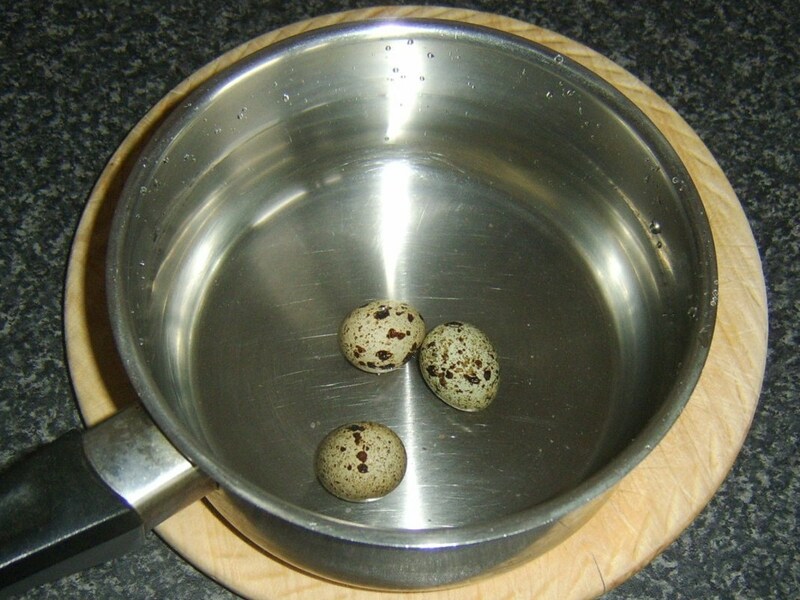 Put the quails eggs in to a pot of cold water. Put the water on to the heat until it just starts to simmer. Reduce the heat and maintain the lowest possible simmer for a couple of minutes. Put two wooden skewers in to cold water to soak for ten minutes. 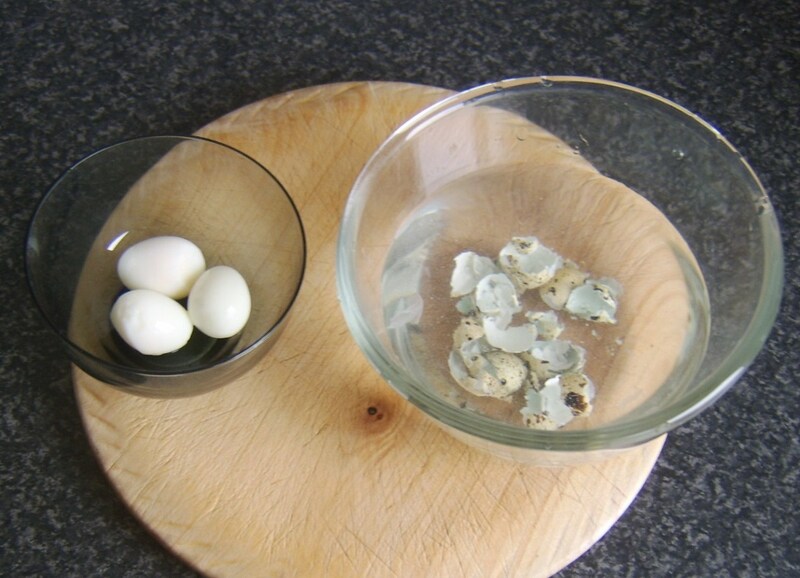 Lift the quails eggs from the water with a slotted spoon. Transfer to a bowl of cold water. Leave for ten minutes. Cover a grilling/broiling tray with tinfoil and lightly grease with vegetable oil. Put your grill/broiler on to heat to maximum. 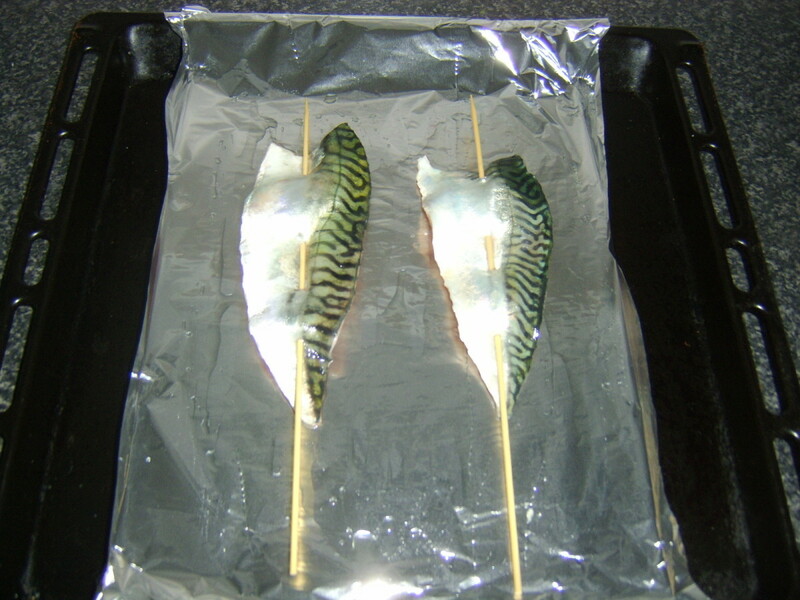 Carefully thread the mackerel fillets on to the skewers, each piercing about one inch apart. Season on both sides and lightly oil the skin side. Lay on the tray, flesh sides down. Grill/broil for around three minutes until the skin is nicely blistered and just starting to brown. 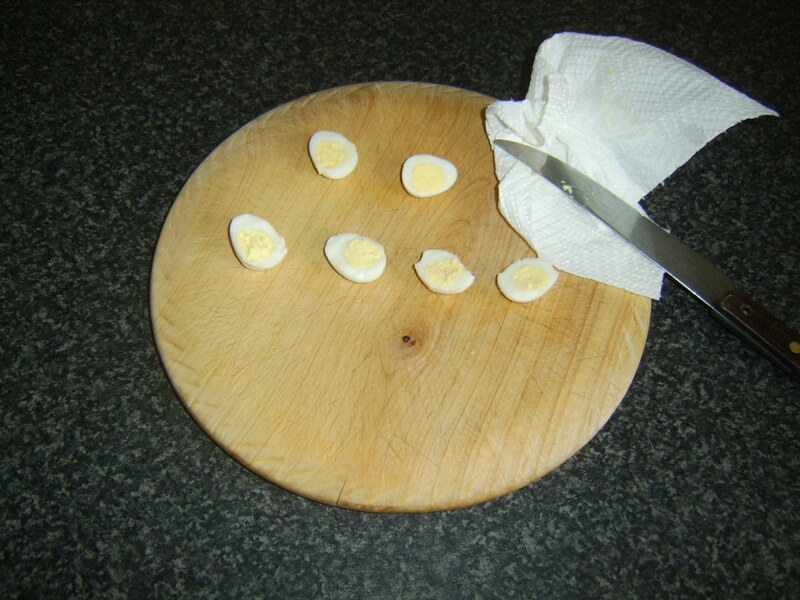 The quails eggs should be very gently knocked on a hard surface to crack the shells and peeled. 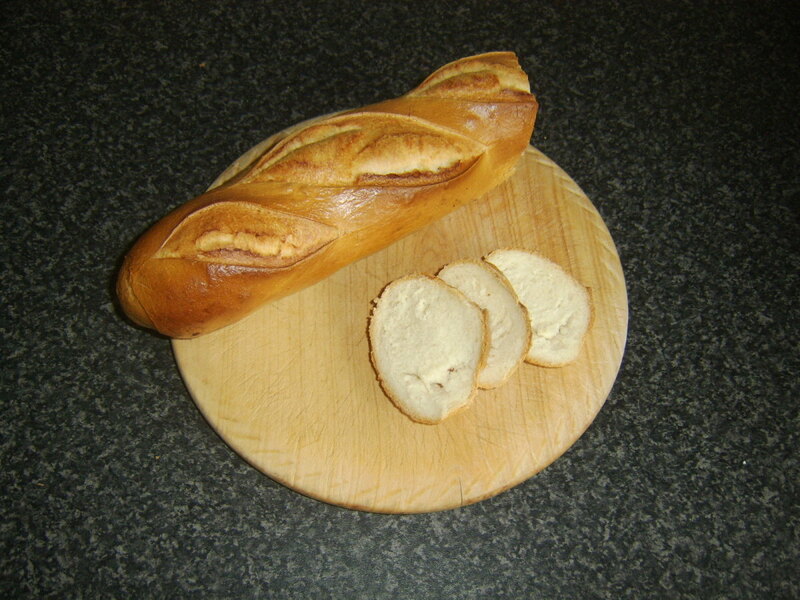 Sit them on a chopping board and cut in half, down through the centre, with a very sharp knife. 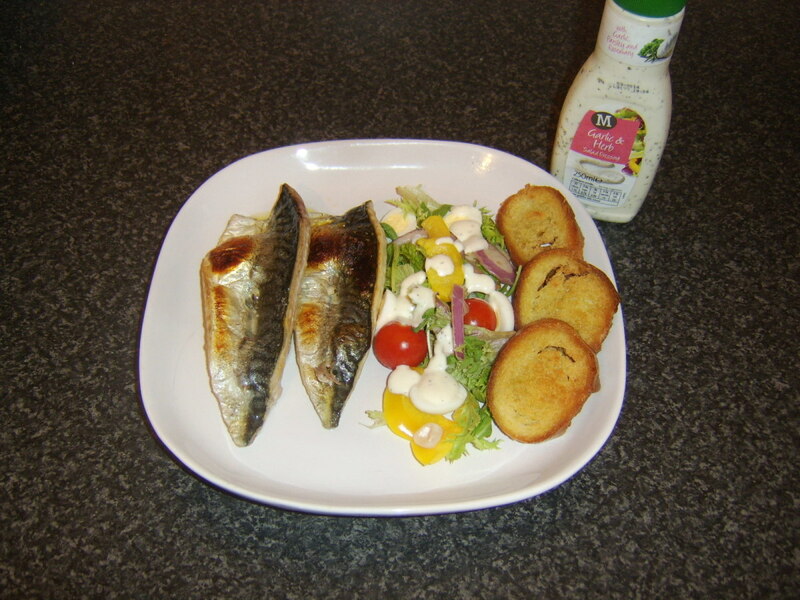 Plate with the salad. 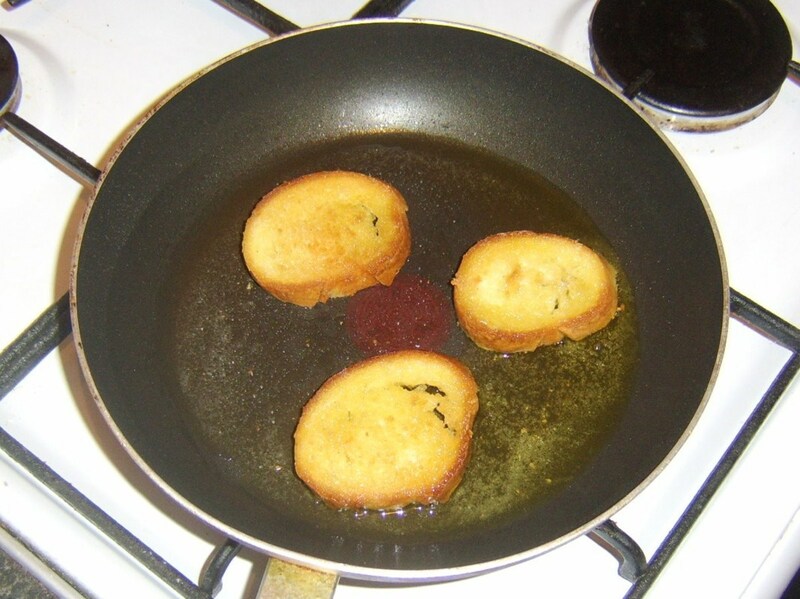 Pour some olive oil in to a non-stick frying pan and bring to a high heat. Add the bread slices and fry for about a minute each side until crisp and golden. Drain on a plate covered with kitchen paper. 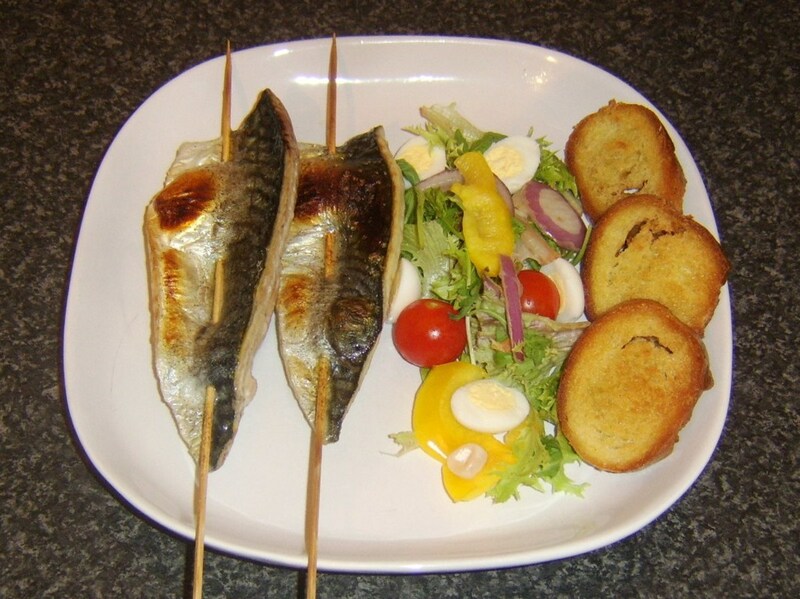 Plate the salad ingredients and lay on the quail egg halves. Sit the croutons alongside. The skewers should be lifted with a cloth or towel and laid on the plate. 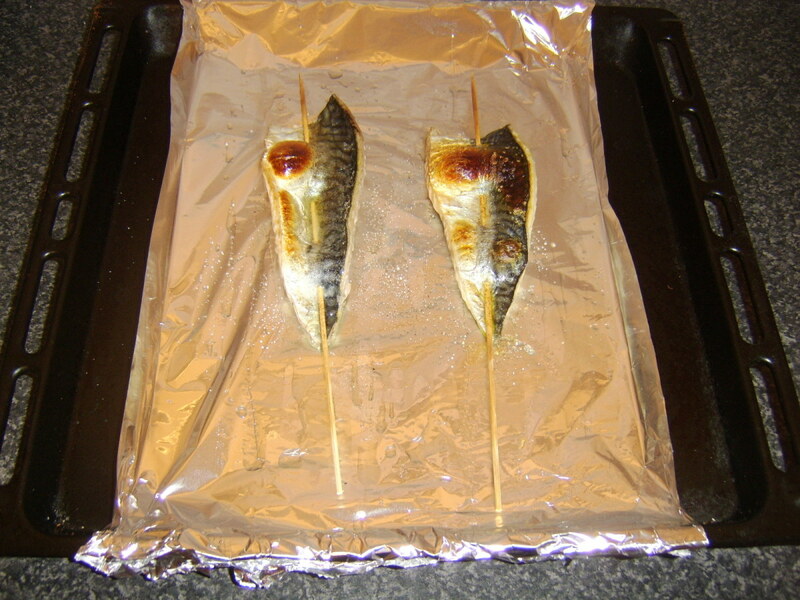 To remove the skewers, twist gently as you pull them free and they should come out cleanly. Drizzle the salad with garlic and herb dressing if required. There is not a lot to quail eggs. Simply breaking them in to a dry bowl can mean that a sizeable and unacceptable percentage of the albumen (egg white) is left stuck to the side of the bowl. A great way to get round this is to firstly pour a tiny amount of oil in to the bowl or cup and smear it around well with a piece of kitchen paper. This lets your egg slide easily out and in to the cooking utensil with minimal if any loss. Very carefully, break the quail eggs in to three oiled bowls. 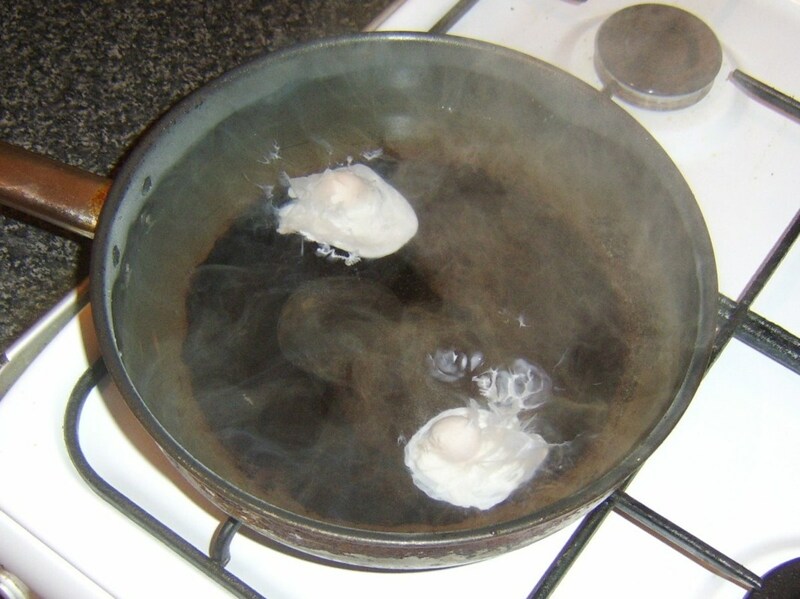 Pour boiling water in to a deep frying pan to a depth of about one inch. Add a tablespoon of white wine vinegar. Bring the liquid to a simmer and reduce the heat that it remains just below a simmer. 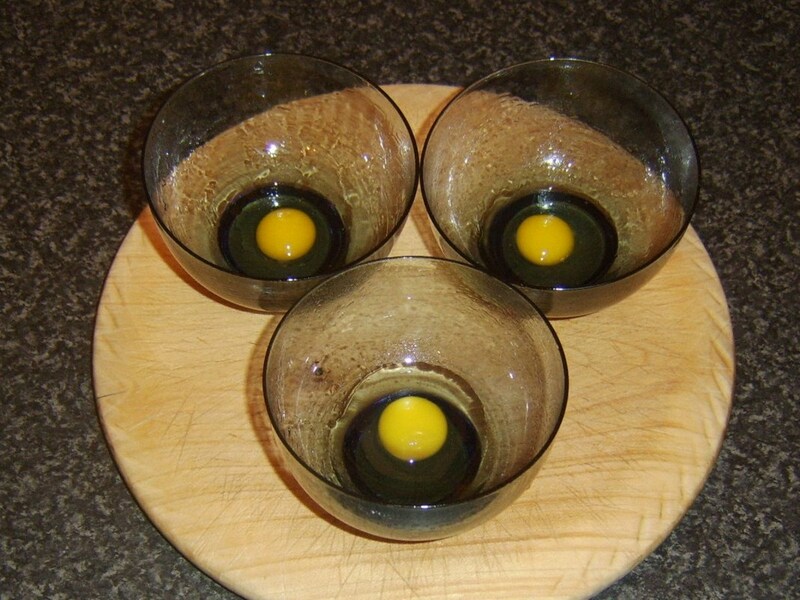 One at a time, carefully pour in the quail eggs. They will only take about ninety seconds to poach. The cherry tomatoes are halved by making a series of forty-five degree cuts around the circumference with a small, pointed blade. 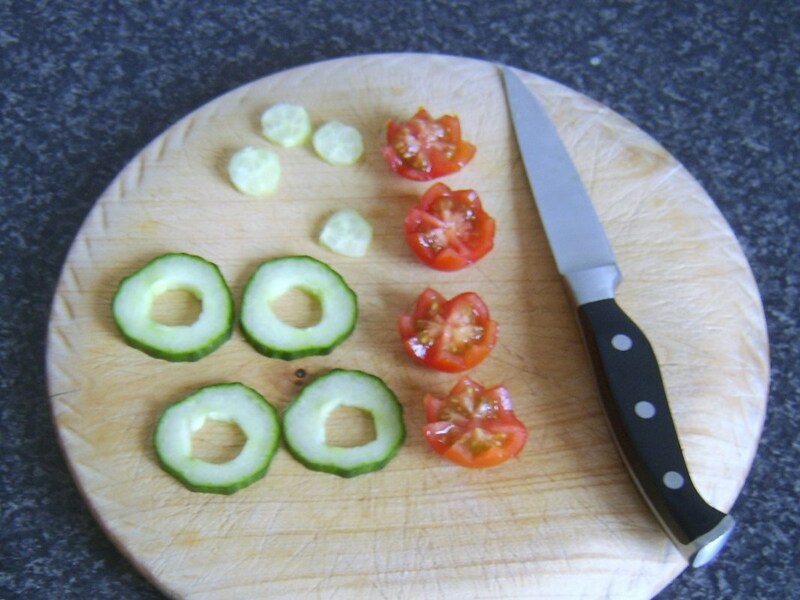 The cucumber slices are cored with the same knife. 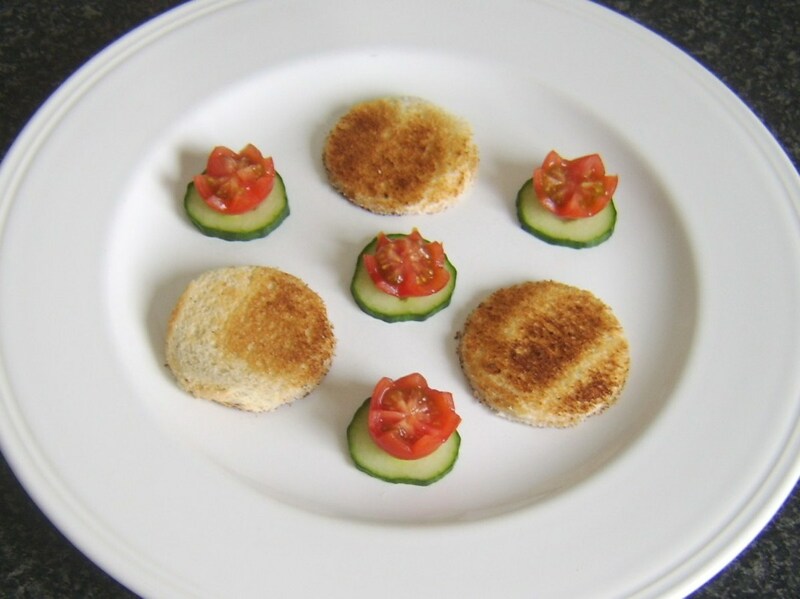 Sit the cucumber slices on a serving plate as shown in the photo, with half a tomato on top in each instance. 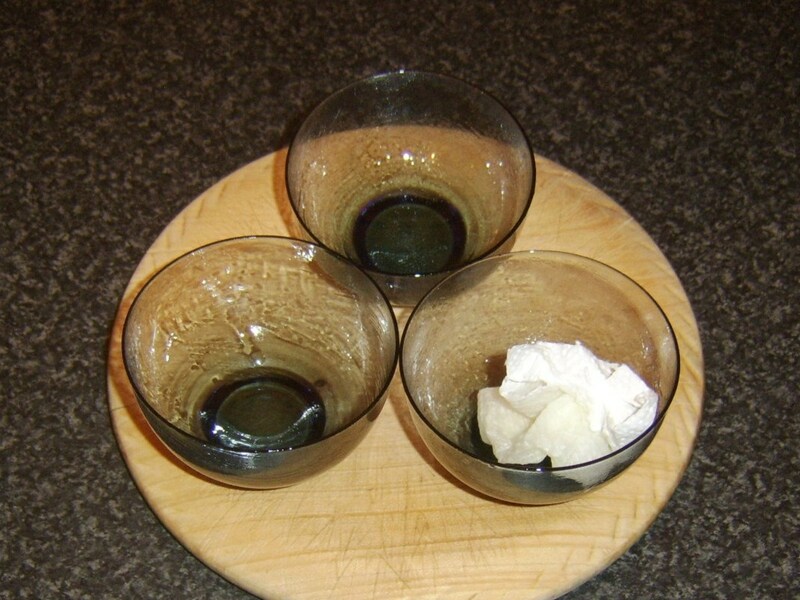 Use a drinking glass with a diameter or around an inch and a half to cut circles from the toast. 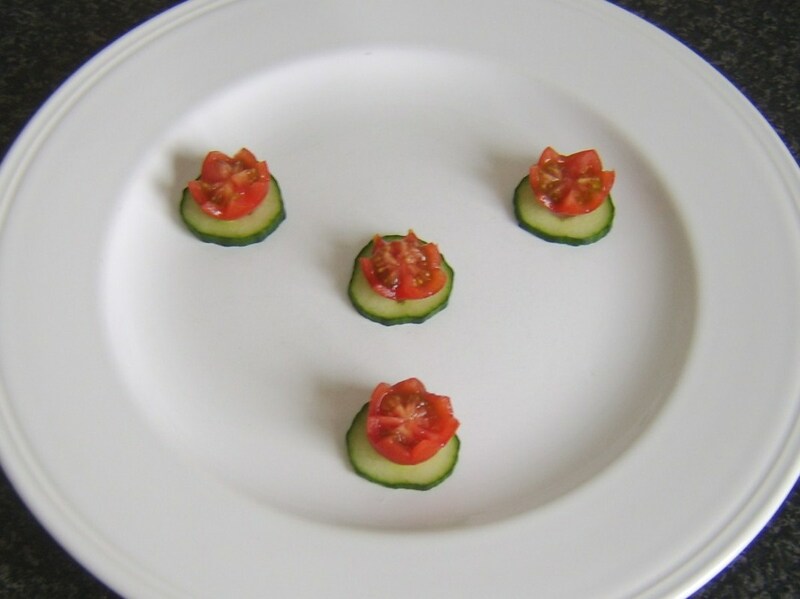 Plate interspersed with the cucumber/tomato, again as shown. 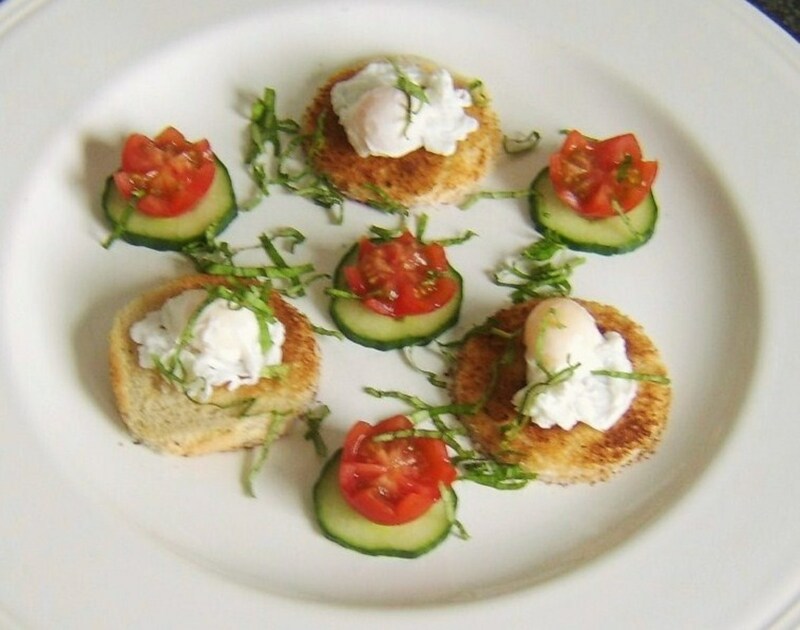 Lift the quail eggs carefully from the water with a slotted spoon, drain well and sit one on top of each toast circle. 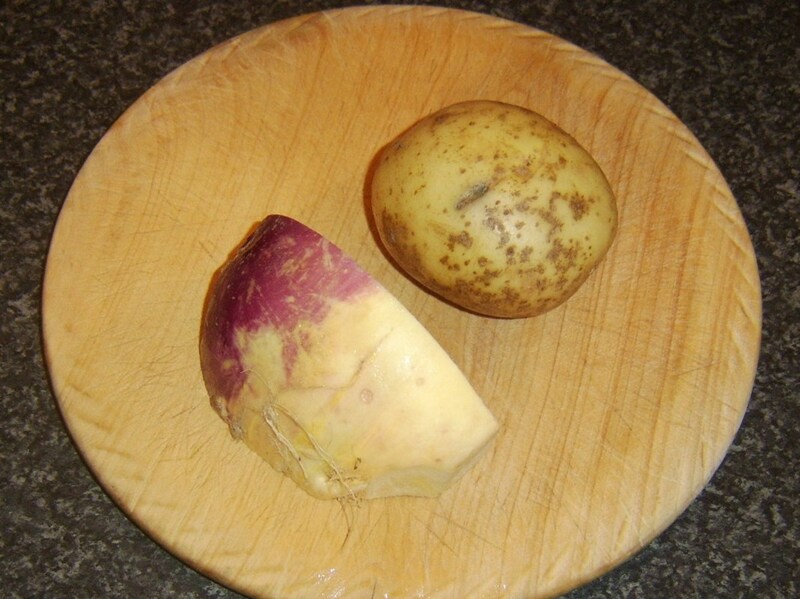 The chopped potato and Swede turnip/rutabaga go in to a pot of salted cold water. 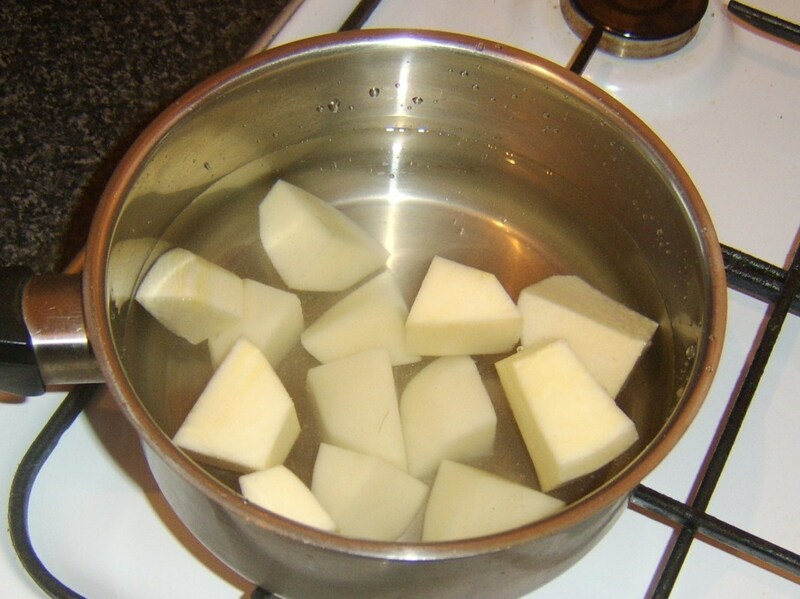 The water is brought to a simmer until the vegetables are soft enough for mashing. This should take around twenty minutes. 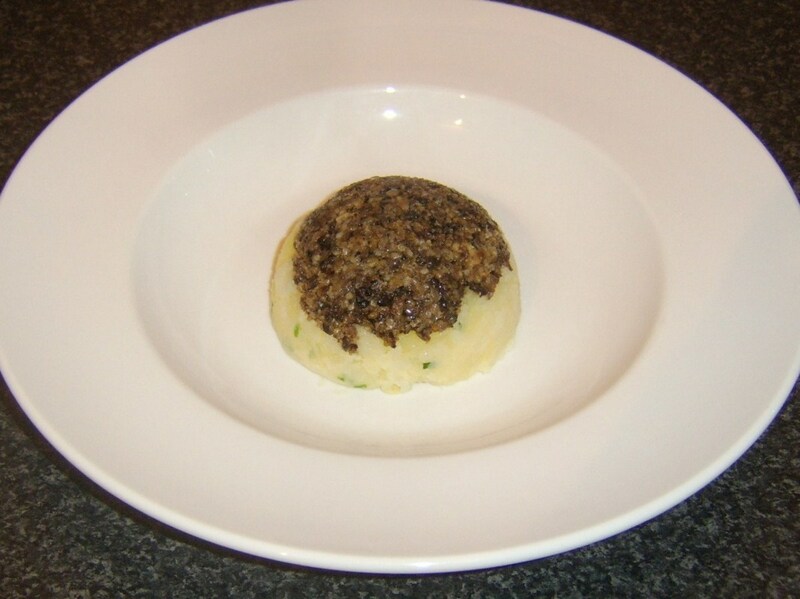 The haggis meat in this instance was part of a larger haggis which was used for a number of purposes. It should be laid on tinfoil (lightly greased with vegetable oil) and scattered with a little water. 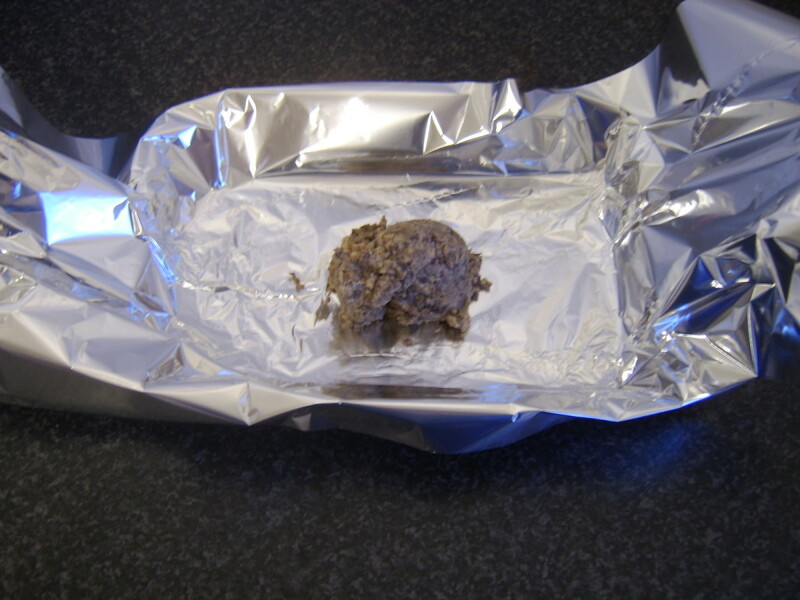 The foil should then be wrapped in to a sealed tent and the package baked in the oven (preheated to 190C/375F) for twenty minutes. 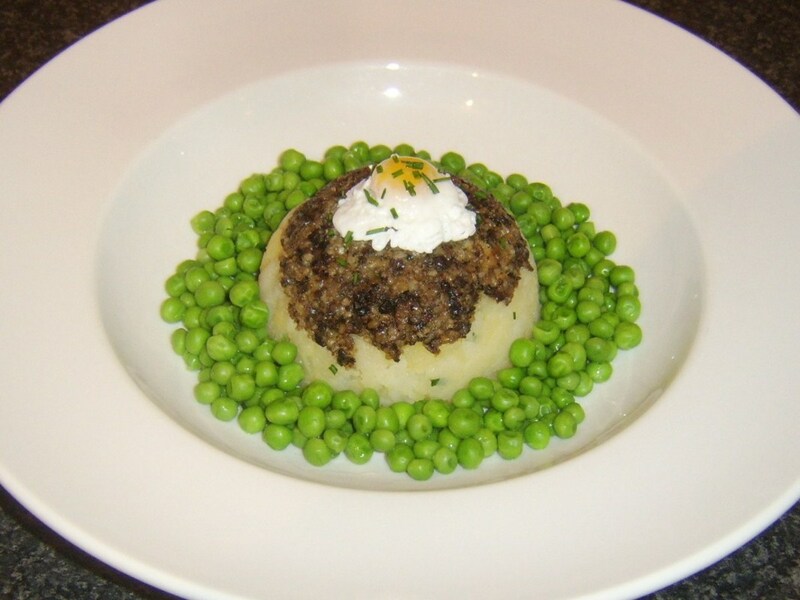 The peas should be added to a pot of boiling water and simmered for three minutes before being drained. Just before you start preparing all the above ingredients for service, pour about an inch of boiling water in to a small frying pan and start it heating to reach the gentlest of simmers. Drain the potatoes/turnip and return to the empty pot. Season with salt and white pepper. 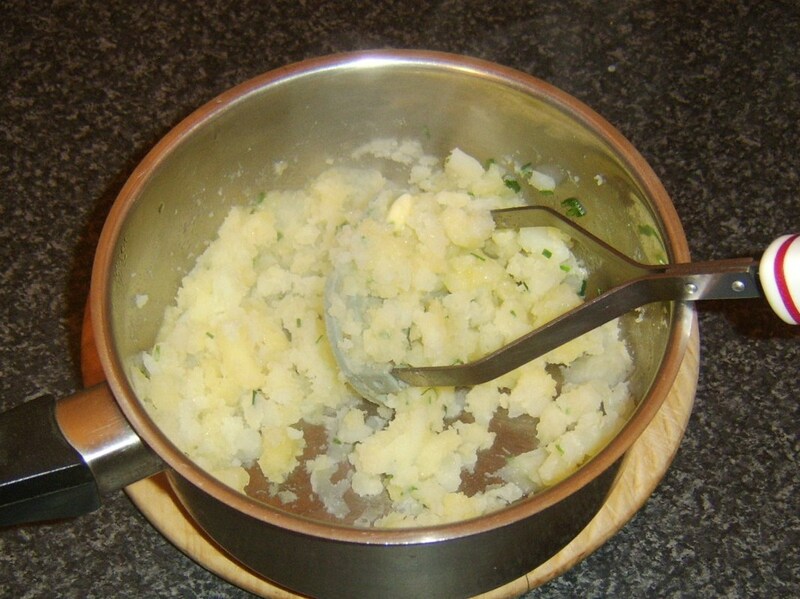 Add a little butter, the teaspoon of chives and mash with a hand masher. 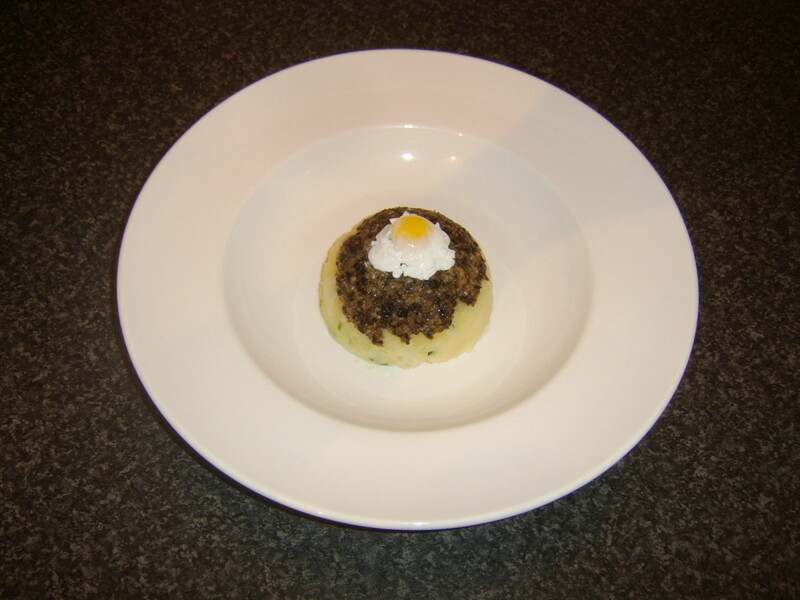 Take the haggis from the oven. 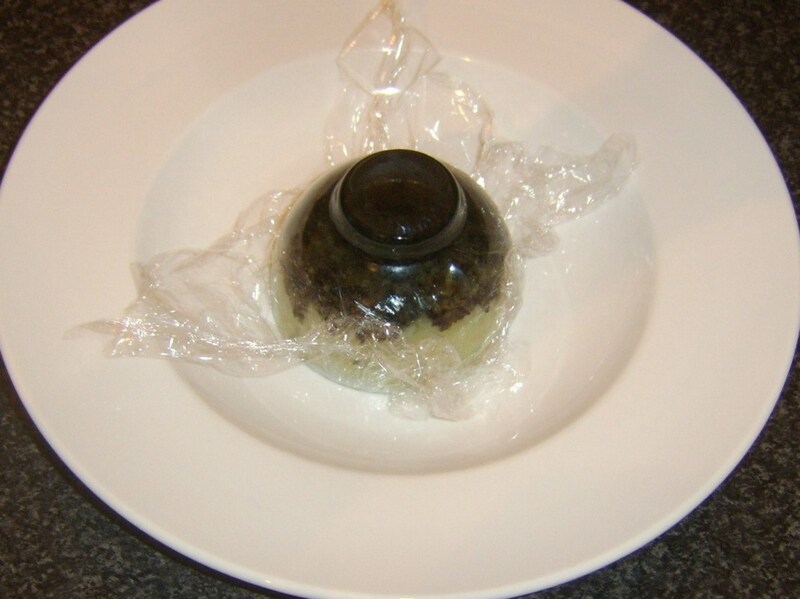 Line a small bowl with clingfilm and pack the haggis in to half fill. Don't worry about levelling it off - it should be uneven and rustic. 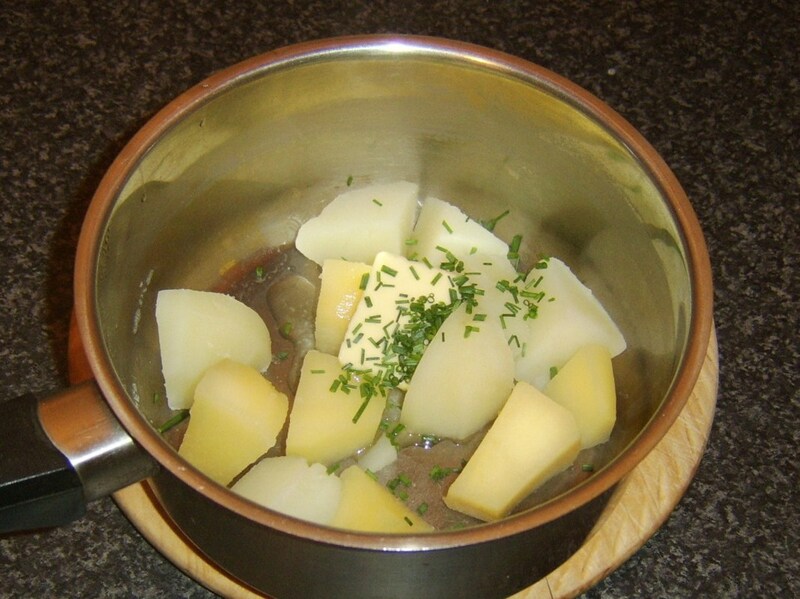 Spoon in some clapshot (potato/turnip mix) to fill and scrape with a knife to level. Lay a deep serving plate on top of the bowl and invert. 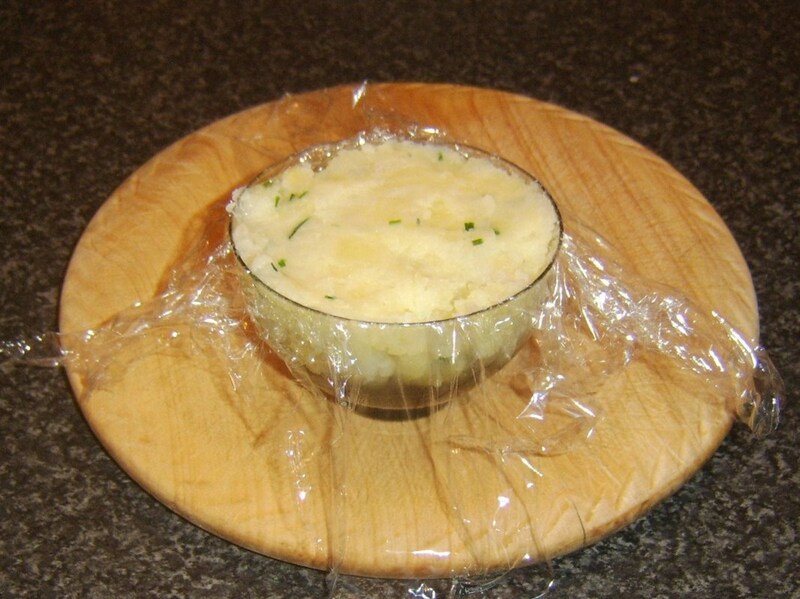 Hold the edges of the clingfilm and lift the bowl away. Peel off the clingfilm. 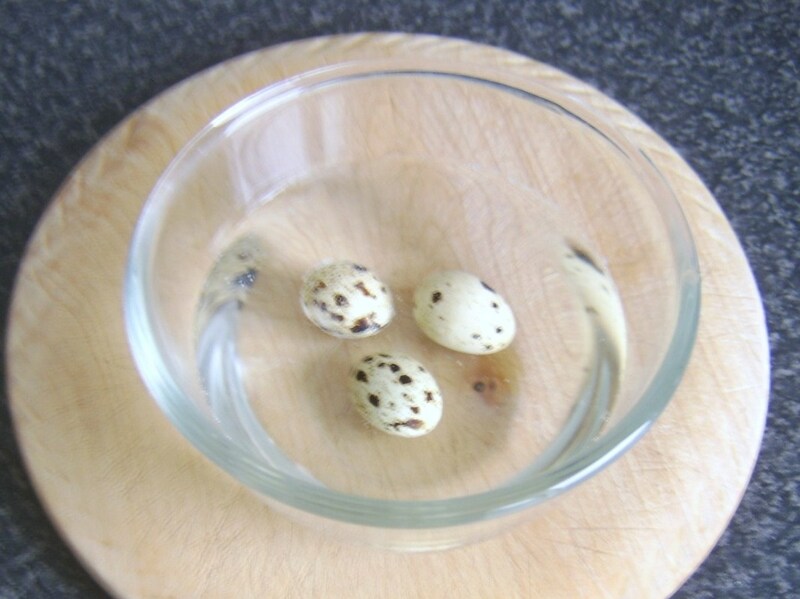 Lightly rub a small glass bowl with oil and carefully break in to it the quails egg. 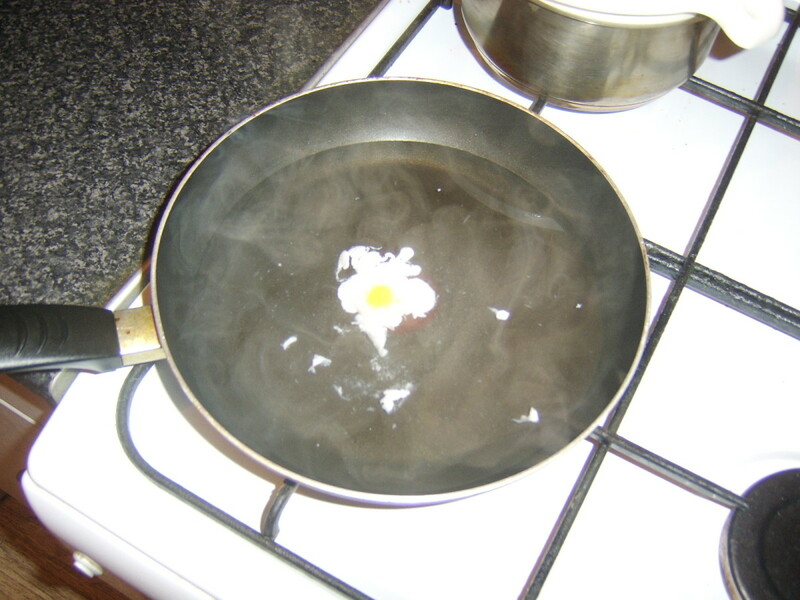 Ensure the water in the small pan is just simmering and no more and pour the quails egg in to the centre. 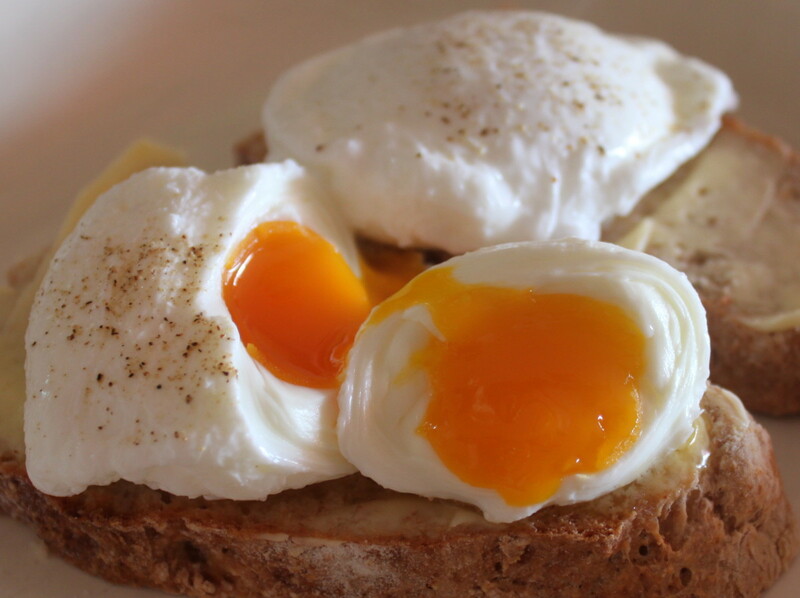 Poach for a minute and a half. Lift the quails egg from the water with a slotted spoon and allow to drain well. 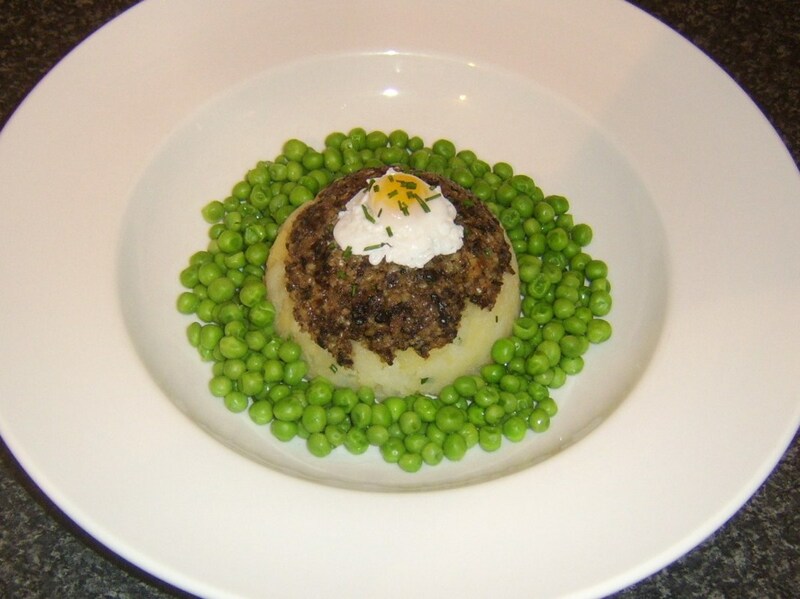 Lay on top of the haggis. Scatter the quails egg with the remaining chives and spoon the peas around the edge of the plate for service. Thanks for visiting abetterwaytolive. 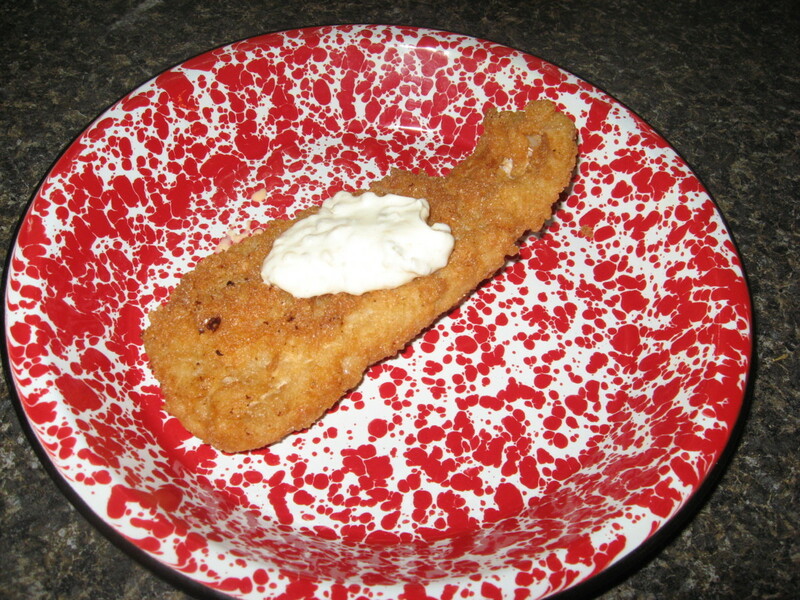 I hope you enjoy these recipes and serving suggestions. I am a quail egg lover myself. I was so happy to see this hub. I can't wait to try these out. Thanks for sharing! Can't beat farm fresh eggs, tirelesstraveler. I hope you can find the inspiration to experiment. You may very well be pleasantly surprised. Thanks for visiting and commenting. The farm down the road has various types of eggs. 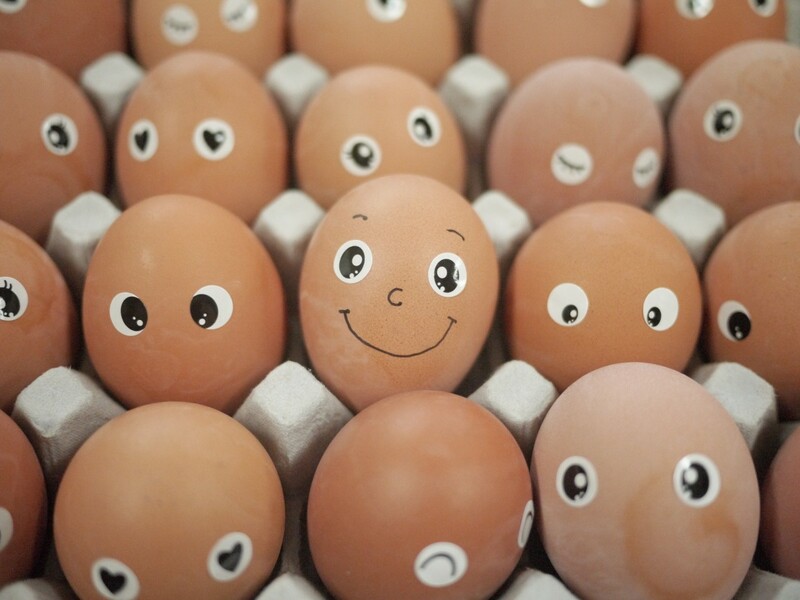 I haven't been brave enough to try any of them, but their fresh chicken eggs are awesome. Hi, lovebuglena. Glad you like quails eggs and I also like them sunny side up. Never made them in to an omelette. Would imagine it would need eight to ten eggs, even for a small omelette. The teaspoon issue is irritating, I know. Re the pot, you're right - it's the smallest one I have! :) Thanks for visitng and commenting. Thank ChitrangadaSharan. 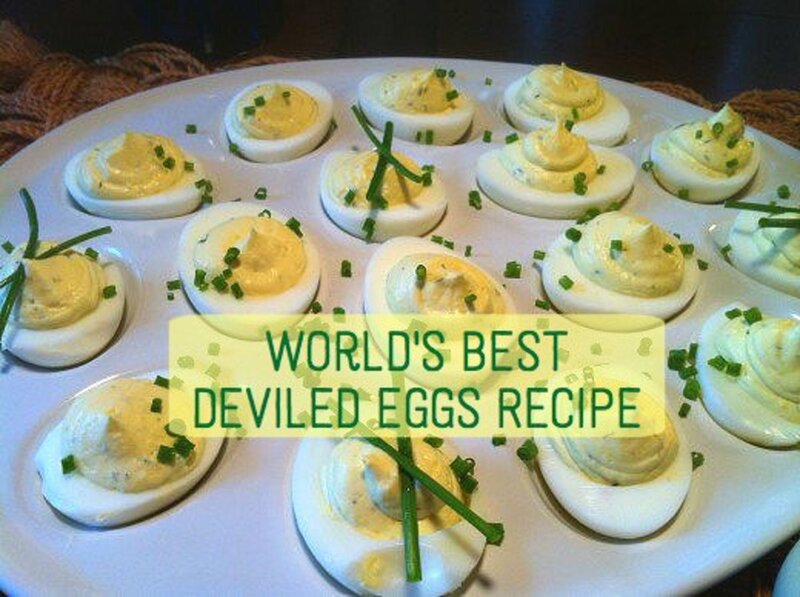 The recipes would all certainly apply to chicken eggs. 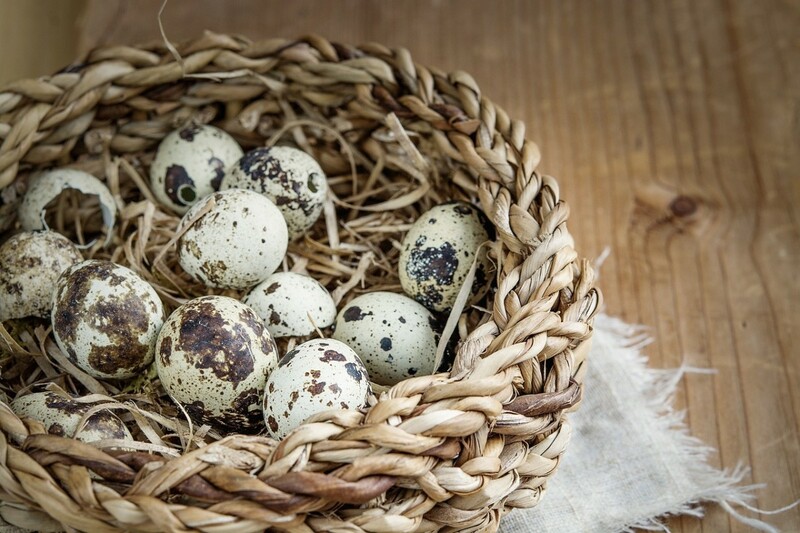 Quails eggs are similar to chicken eggs with just a subtly different, interesting flavour. I have not eaten Quail eggs before, but I think this can be tried with chicken eggs too. 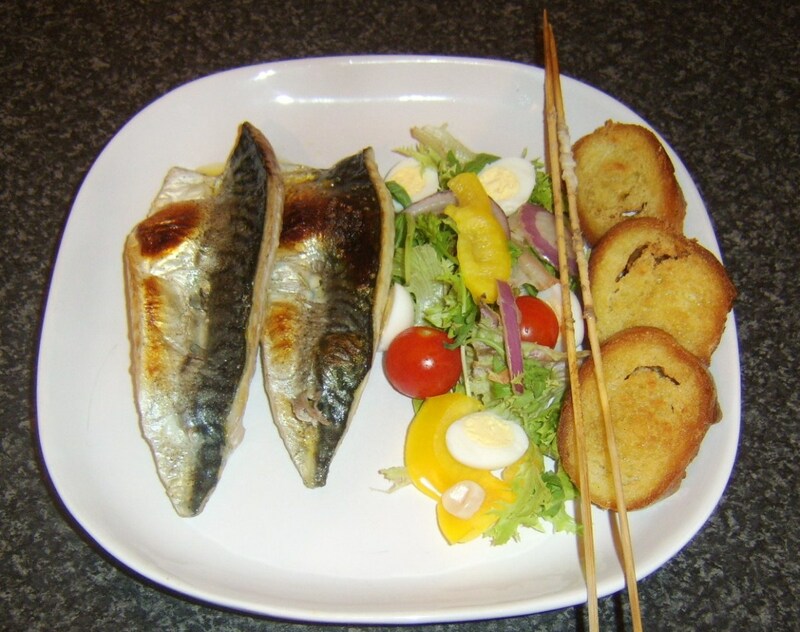 Your instructions and pictures are wonderful and the finished recipe looks so tempting! I love quail eggs. 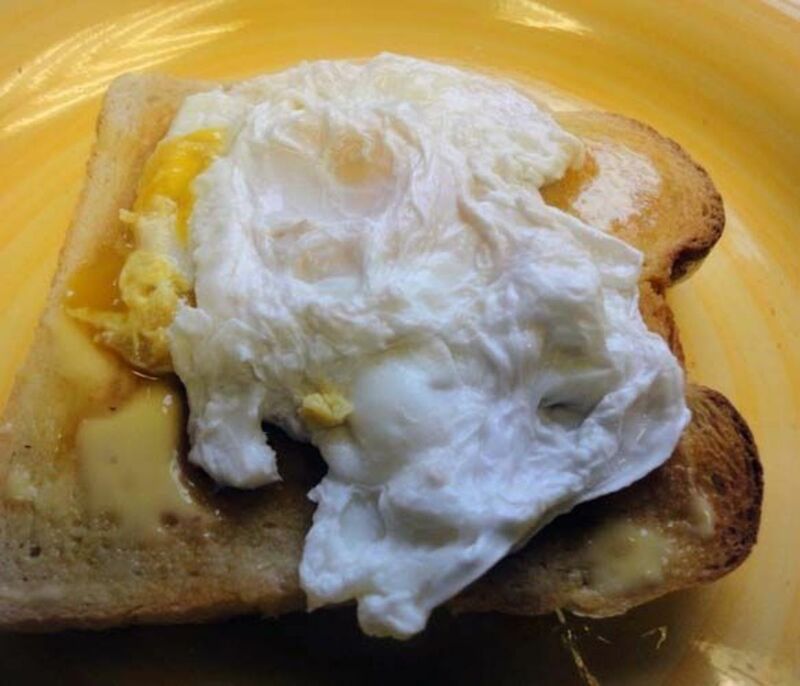 I either make them sunny side up, as an omelet, or just hard boiled. I'd love to try them soft boiled as well but not sure how I will be able to eat them as a a teaspoon won't fit inside the egg. I actually prefer quail eggs to chicken eggs. And I've used them in salads I make, one of them being tuna salad. I noticed in your image you have your quail eggs that you boil in a large pot instead of a small one. Is it better to cook them in a larger pot or do you not have a small pot in the house? Just curious as I always use a very small pot. You've got some interesting recipes here. Thanks for sharing.